At The Paper Box, 17 Meadow Street, East Williamsburg. 7pm. $15. More info here. 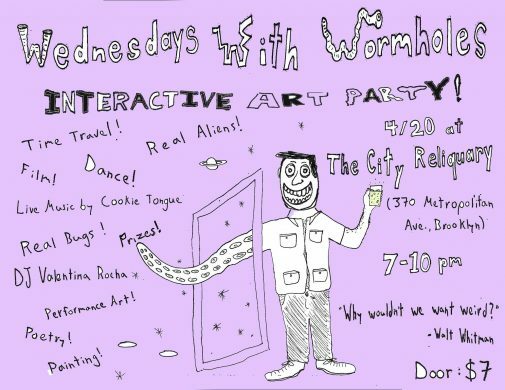 Join Brooklyn’s most daring performance artists (including B+B faves Wild Torus) as well as some guests from overseas at a space tucked away in industrial East Williamsburg for an evening of underground performance and multimedia art that’s bursting at the seams. 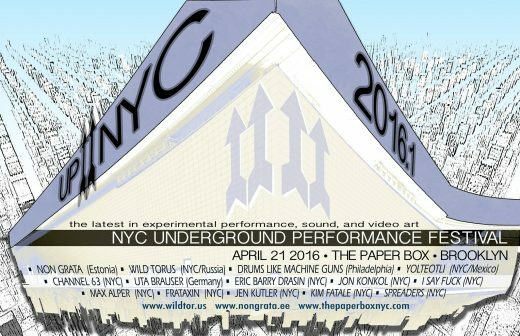 Not only does UP NYC feature work from over a dozen performance, video, and sound artists, the work you’ll be witnessing will be messy, in-your-face, wildly brash, and undoubtedly thrilling. Seeing as its an entire art festival stuffed into one evening, I’d expect no dull moments. Continues thorough April 30 at New York Live Arts, 219 W 19th Street, Chelsea. 7:30pm. Tickets start at $15. More info here. 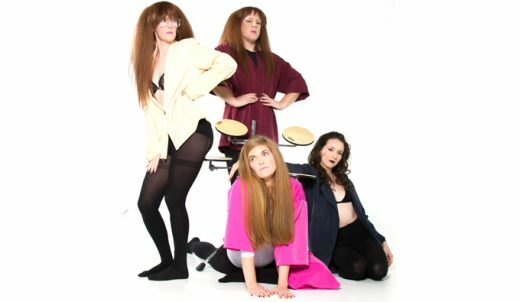 Obie-Award winning ensemble Half Straddle’s latest offering, penned by Tina Satter as per usual, is a “deadpan magical realism” song cycle with original music exploring family bonds and romance between friends. Half Straddle has been acclaimed for past innovative multimedia productions such as Seagull (Thinking Of You), and this is sure to be no different. Continues through Sunday at The Bushwick Starr, 207 Starr Street, Bushwick. 1pm. Free. More info here. Every year, the Bushwick Starr joins forces with local elementary schools and eco-theater company Superhero Clubhouse for an annual play fest, featuring plays written by 4th and 5th graders after they have spent time learning from scientists and environmental experts. 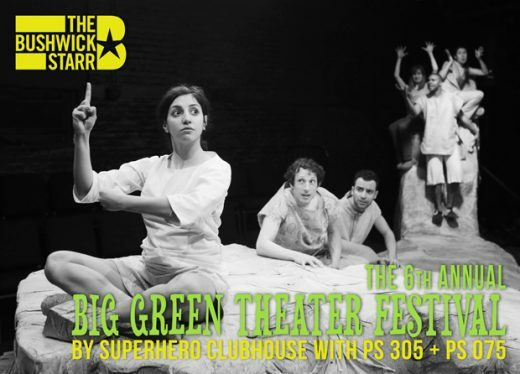 The plays are then performed by professional actors using Superhero Clubhouse’s greener theater-making tactics. Though it is true these are plays written by children, have you seen Bad Kids Jokes or Kid Theater? It’s pretty likely you’ll bear witness to stuff on another creative level than anything an adult could come up with. Some of them even have original songs! Plus, it’s for a good cause and it’s free. At Shea Stadium, 20 Meadow Street, East Williamsburg. 8pm. $5. More info here. We all remember prom. Well, maybe for some of us the memories are a little blurry. However you recall it, this wacky comedy show is certainly going to put a new spin on things. They’ve had one prom-themed bonanza before, and now they’re back at it, because it never hurts to relive high school just one more time, right? Come dressed to the nines and turn your laugh meter up to ten with performances by Cole Escola, Tim Dillon, Janelle James, Katie McVay, Griffin Newman, and Chris Thayer, as well as the show’s regular hosts Brett Davis and Sally Burtnick. Maybe you will even be crowned king and queen.